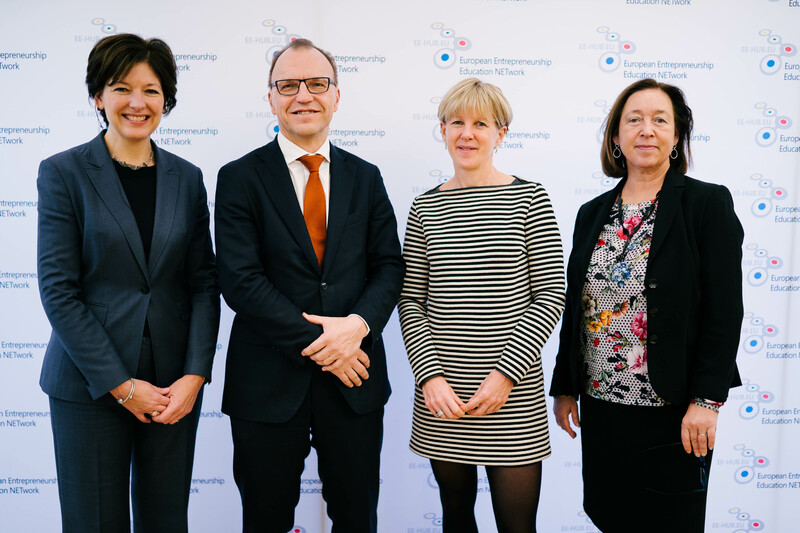 Risto Artjoki, Head of Cabinet of Commission Vice-President Jyrki Katainen, outlined in his Opening Remarks the support of the European Commission to developing the skills and entrepreneurial competences of the young generations. 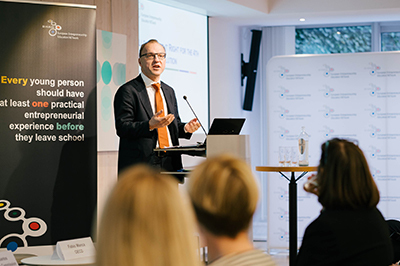 The context of the 4th Industrial Revolution presents both challenges and opportunities for this work, where “education is the crucial remedy to the consequences of economic change”, Mr. Artjoki said. 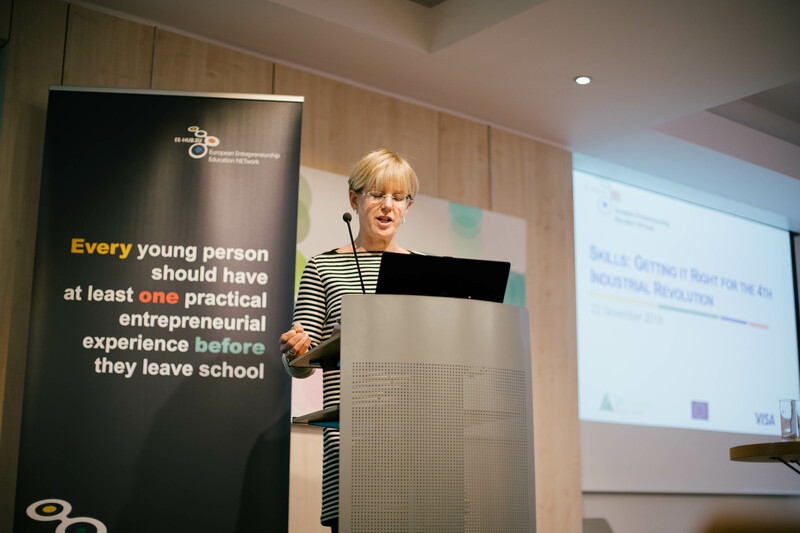 Speaking on behalf of Visa, Chief Legal & Regulatory Officer Emma Slatter outlined the role of her company to reduce the skills gap in the economy and to improve especially the financial literacy skills of young people. The intention of Visa is to ensure small businesses are in the best position to thrive and prosper and make the most of the 4th industrial revolution. 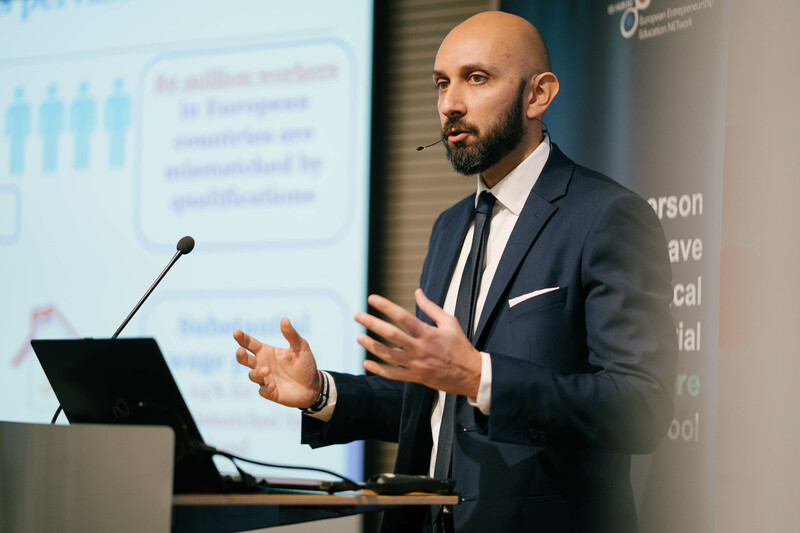 In his keynote speech presenting OECD’s “Getting the Skills Right” initiative, Fabio Manca demonstrated what kind of skill demands exist in the labour market as well as the overall degree of imbalances linked to structural change in our societies, demographic changes and automation. He concluded by stating that there is a good understanding about what the skills needs in the economy are, but not yet enough is done to address the mismatch. 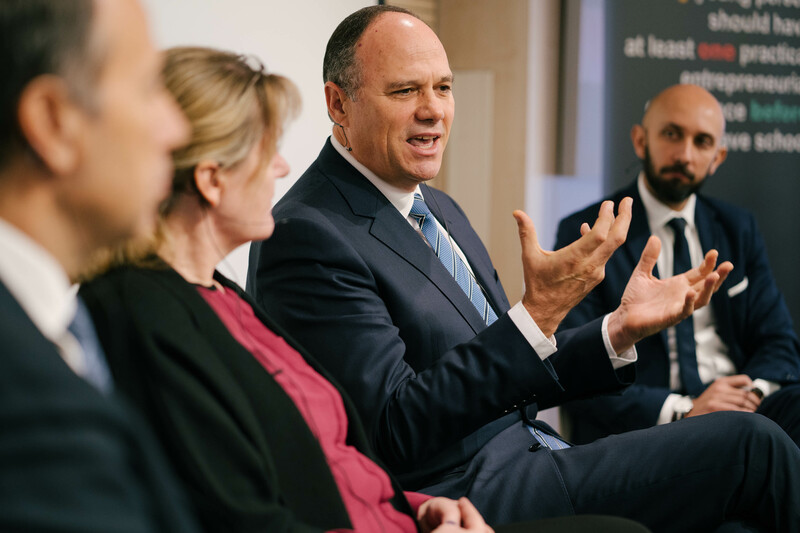 The panel discussion that followed was moderated by JA Europe CEO, Caroline Jenner. 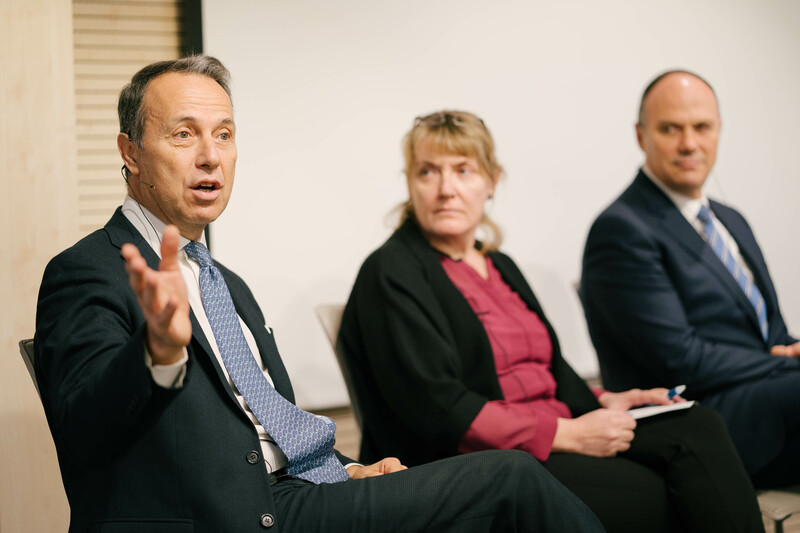 Speaking on behalf of EUROCHAMBRES, Arnaldo Abruzzini noted the paradigm shift that has happened in our economies, making it much more difficult to correct the imbalances in the market. According to João Santos from DG Employment in the European Commission it used to be feasible to adapt education systems to the labour market needs because the pace of change was much slower. Today it is impossible to keep up with the pace, and therefore we see a widening of the skills gap. Karen Hanghoj from EIT Raw Materials stressed the need to equip the educators with the right skills and for more exchanges between industry and teachers to create learning paths. Arnaldo Abruzzini called for a new humanism in the context of Industry 4.0, as it is not only about technology but also about behavior and ethics. 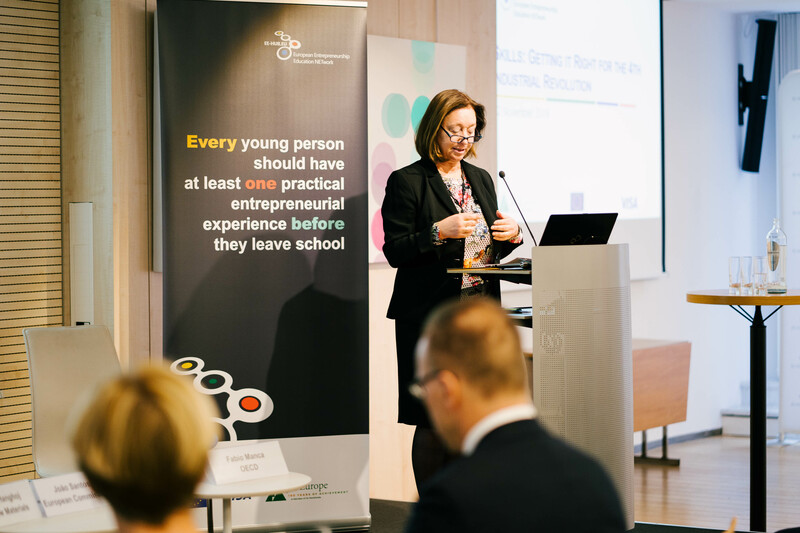 Are educational systems able to equip young generations with the skills needed in the labour market?